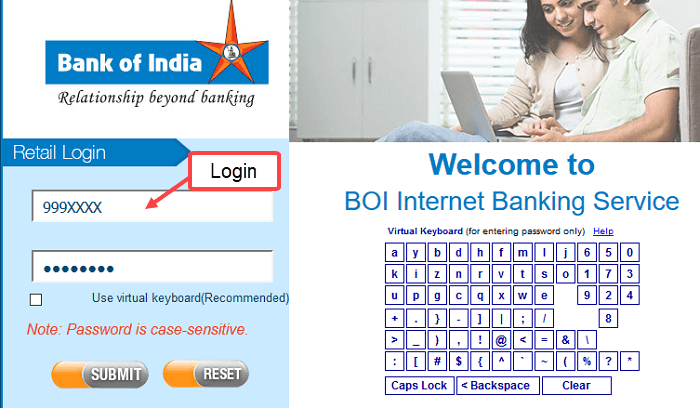 Want to change your registered mobile number in Bank of India (BOI) online? Yes, using net banking you can now able to update your mobile number in Bank of India which linked with your saving account. Let me tell you, you must have BOI net banking facility to complete this task. If you don’t have Internet banking then do not worry, you can activate net banking online using debit card details. 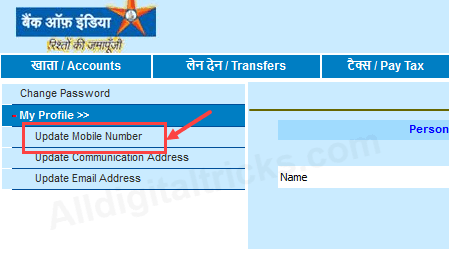 If you have net banking facility then follow below process and change your mobile number instantly. 1: First login to your Internet banking account. Enter User ID and login password. 2: After login,click on Options tab as you can see below screenshot. In options, click and open My Profile. 3: In My Profile, you can see Update mobile number option, click on it. 4: Now enter your new mobile number with 91 country code. For example (919998XXXX99). Now click on continue. 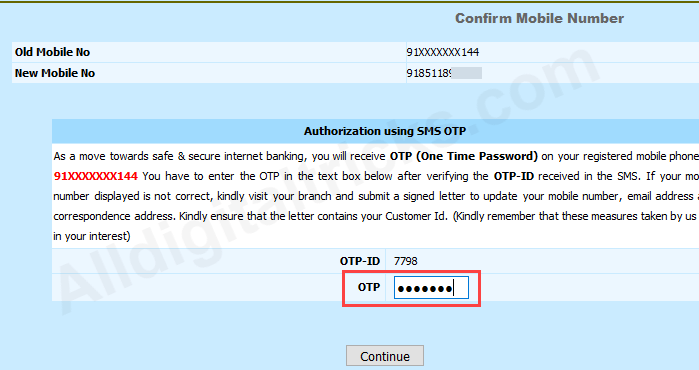 5: In next screen you need to enter OTP (One Time Password) which you will receive on your current registered mobile number, enter OTP & click on continue. Done! your mobile number will be updated/changed within 24 hours. So by following these simple online steps you can change/update Bank of India (BOI) Registered mobile number online through net banking.